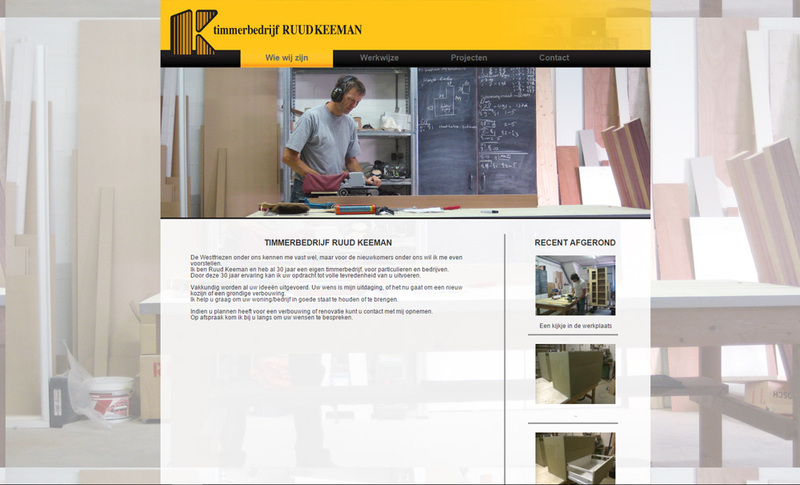 The website for timmerbedrijf Ruud Keeman is based on an existing corporate identity. 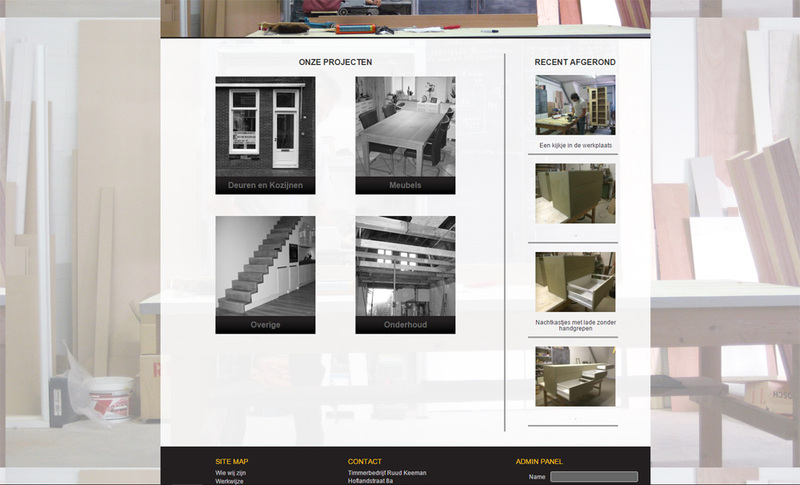 The website is provided with an basic back-end page for timmerbedrijf Keeman, to upload new photo's and projects. An easy overview splits the different services timmerbedrijf Ruud Keeman has to offer.